A commercial or office move is any company or private move where specialized equipment and/or personnel are required to handle employee workstations or equipment. You can count on Mulder’s. We’re one of Kalamazoo’s, Southwest and West Michigan’s and Michigan’s premier commercial moving companies. Our team has the expertise, training and experience to handle any type of commercial move, including installing employee workstations, wall-mounted artwork, signage, organizational items, medical equipment and computer hook-ups. We’ll use runners to protect flooring, corner guards on wall corners and stretch-wrap to cover furniture and other items. 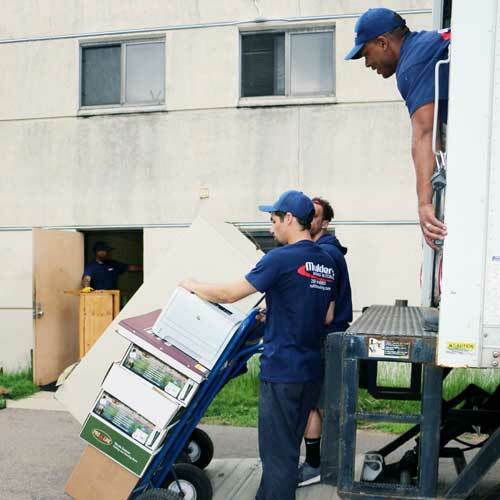 For over 70 years, Mulder’s has been committed to delivering the highest quality commercial moving service to Michigan.